Many in the Wesley Chapel can remember learning how to brush their teeth; their parents first showed them how to brush their teeth by brushing them for them. Then when they were ready, they used brightly colored, sometimes cartoon-themed toothbrushes and toothpaste. To summarize, you have probably been brushing your teeth for as long as you can remember and it is a natural part of your daily routine. However, have you ever considered that you might be brushing your teeth wrong? Learning that you could be brushing your teeth wrong all these years or even brushing your teeth to much could be alarming, but with some adjustments you will be back on track easily. Some can cause more harm to their teeth by being a bit overzealous. Brushing your teeth after every meal is absolutely beneficial. However, brushing too soon after lunch could be helping the destructive acids in the food you just ate destroy your teeth’s enamel. Instead of rushing to the bathroom to brush your teeth, wait 15 to 20 minutes — this allows enough time for your saliva to begin to break acids and other harmful elements down. Be sure to replace your old toothbrush when the bristles become discolored, bent, or dirty! 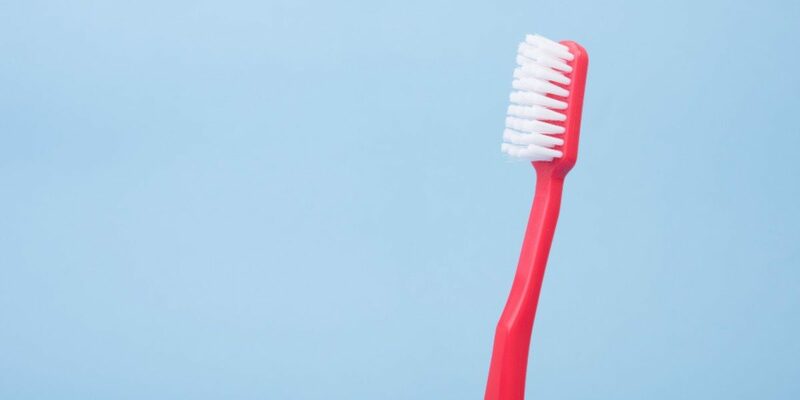 It’s easy to think that brushing harder is always better, or you may just like how it feels, but brushing harder can actually do a lot of harm. It creates extra wear and tear on your teeth and gums. To make sure you’re doing it right, it’s best to change your perspective — instead of scrubbing your teeth, consider simply massaging your teeth. To give your teeth the cleaning they need, you must also brush them the right way. As we mentioned above, brushing them too hard can be harmful. Brushing them at the wrong angle can also be detrimental. Brush your teeth at a circular, up-and-down motion, 45-degree angle, and brush your gum line as well. Getting up, into the gum line is crucial for getting rid of bacteria and plaque at the gumline. Be sure to brush your teeth at least twice a day, floss, and use mouthwash to give your teeth the royal treatment that they deserve. Looking for a new dentist in Wesley Chapel? When you’re searching “dentist near me in Wesley Chapel,” be sure to choose Mystic Oaks Family and Cosmetic Dentistry. We offer gentle dentistry for the entire family as well as cosmetic dentistry. Be sure to check out our Spring Break Special and book online!